(4-6 Jan 2014) Supported by the Asia Surfing Championship (ASC), this event showcases 4 catagories – 'Mens' & 'Womens', 'Open Mens Master' & 'Bodyguard Mens'. (26 Jan 2014) Held at the Gunung Datuk Forest Reserve, this endurance event traverses three mountains of Datok, Gagak and Rembau located within the Rembau district. Last year's event saw 800 participants, both domestic and international taking on this exhausting challenge. (March - Jun 2014) An extraordinary work of contemporary art encompassing body movements, thoughts, senses and emotions infused with energy in an infinite vortex of realism. The artist’s work expresses the lonely illusion within one’s own internal being. (22 - 23 March) The first carnival organized by Touch 'n Go is here! Join for fabulous family fun, food & freebies at outdoor carpark Stadium Shah Alam on 22nd March and 23rd March - 10.00 am to 10.00 pm. (21-23 March) This fair is for travel agency, Tourism Organizations, state tourism boards, transportation companies as well as other related tourism product and services providers from local and overseas to promote their products and services to the consumers. (29-30 March 2014) A paintball league welcoming participants from all over the world competing for world recognition. The league utilises the WERD format. (Apr 2014) The Langkawi Development Authority (LADA) will be hosting an assortment of exhibits, sales and activities centred around one of the country’s most-loved street food - laksa. (13 April 2014) The iconic IRONMAN® brand and event series is the largest participation sports platform in the world. (1-5 May 2014) The IFI General Assembly and Congress, the largest congregation of Interior Designers from all over the globe. For the year 2014, the event shall be hosted by Malaysian Institute of Interior Designers (MIID) and held in Kuala Lumpur, Malaysia. (May 2014) This explorer rafting programme sees both domestic and international participation snaking the Pahang river with a variety of cultural and communal activities held along several stops along the watery journey. (1-10 May 2014) Thai boxing championship participated by over 200 professional boxers worldwide. (2-4 May 2014) This prelude to the state-wide Harvest Festival celebration is a superbly entertaining cultural extravaganza that incorporates dance, music, fashion, food and more. Sabah Fest presents a wonderful blend of cultural and natural heritage that is richly embedded in folklore. (2-4 May 2014) Marking the zenith to the Gawai Dayak celebration, this festival provides a captivating insight into the cultures, traditions and aspirations of Sarawak’s Dayak community and is celebrated with neighbouring compatriots from Thailand, Indonesia and the Philippines. (2-4 May 2014) Annual event that draws massive visitors to the idyllic coastal town of Port Dickson, the water festival is one of the main events on the nation’s tourism calendar. 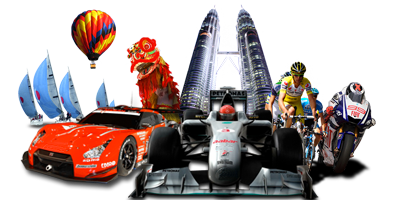 (3-5 May 2014) This annual festival is hosted by the Ministry of Tourism and Culture, Malaysia and held in conjunction with the Water Festival month of April. (18-26 May 2014) In conjunction with the Miri Celebration, Malaysia Craft Promotion showcases commercial and educational activities through craft exhibitions, craft sales and demonstrations and is participated by various ethnic groups in Malaysia, namely Malays, Chinese and Indians. (22 May - 2 Jun 2014) Malaysia Craft Promotion is held in conjunction with the Kaamatan Celebration. Promotion will be held at Lintasan Deasoka, Kota Kinabalu, Sabah. Exhibitions, sales and demonstrations are put up by various ethnic groups in Sabah. (22-25 May 2014) This religious event commemorates the death of Sant Sohan Singh Ji Barsi by the Sikh community in Melaka and is attended also by followers from Singapore, Thailnd, Australia and Canada. (23-24 May 2014) A paintball league welcoming participants from all over the world competing for world recognition. The league utilises the WERD format. (24 May-23 Jun 2014) An annual state event held every June, this festival showcases a number of watersports activities culminating in its two main events – the Float Parade and the Melaka Parade Competition. (3-7 June 2014) Organised to showcase the different types of dances which include traditional and modern such as modern dance, jazz, belly dancing, ballet, contemporary, folk dance, line and ballroom dancing. It offers a platform for interaction with dancers from all continents. (Jun-Sept 2014) A collection of mixed-medium works gathered from 50 years of this prolific visual artist retraces the development of various social and cultural aspects through the decades. (Jun-Sept 2014) Known affectionately as the “Well Known Senior Contemporary Artist in Asia”, this body of works is a testament to 60 years of the artist’s dedication in the visual arts industry. (13-14 Jun 2014) A much anticipated jazz musical extravaganza that features a line-up of international and local artistes performing together on the same stage. The KK Jazz Festival is a fundraising event to benefit various charities in the state. (15 Jun 2014) A favourite amongst recreational motor treasure hunt enthusiasts, this event takes participants through some of the best sights and places of interest throughout the southern state of Johor. A great way to soak in the many historical venues that this state has to offer. (9-10 August 2014) Marking its 11th year, this state-sponsored event has seen a steady rise in its popularity, growing from 280 participants (from 7 countries) in 2002 to 1,450 athletes from 34 countries taking part in 2011. (9 Aug 2014) CNBlue ia a South Korean rock band formed in 2009. They first debuted in Japan with their first mini album titled Now Or Never before their major debut and releasing full length album in South Korea. (30 August – 8 September 2014) Highlights include commercial and educational activities like exhibitions, sales, demonstrations and interactive craft making and participated by various ethnic groups in Malaysia, namely Malay, Chinese and Indians. (29 Aug - 1 Sept 2014) This will be the very first time Summernats is held out of Australia. It includes an automotive show that features the Biggest and Loudest Bike Gathering, Biggest Super/ Performance Car Gathering, Racing, Burnouts, Stunt Shows and many more. (Sept-Jan 2015) A prestigious arts exhibition with historical significance, this 23-year-old event gathers the cream of celebrities and top works from across the nation’s visual arts communities. (1-30 Sept 2014) This event stages both musical and theatre arts involving artistes from the local stable as well as international acts. (24 Sept-3 Oct 2014) Showcases the uniqueness and beauty of gifts and souvenir crafts by local craft designers. (24 -26 Oct, 2014) - The show features Disney cartoon characters in performances that derive their music and plot from elements from various Disney films. This event will feature performances by characters from Snow White and the Seven Dwarfs, Cinderella and Beauty & The Beast. (1-31 Oct 2014) Held throughout the month of October at hotels and restaurants nationwide, this event promotes the fine-dining experience of some of Malaysia’s finest cuisines and culinary establishments. (11-12 Oct 2014) An inaugural event, the Kelantan International Rock Climbing Challenge will be participated by some of the foremost rock climbers from Malaysia and around the world in a gruelling test of endurance, strength and skill. (6-9 Nov 2014) The world's first ever international paintball tournament hosted indoors will be held in a multi-million dollar complex with world class facilities. More than 50 countries will take part in this warfare game. International Cycling Championship "Jelajah Malaysia"
(27 Nov-7 Dec 2014) Textile Crafts Promotion 2014 unveils the uniqueness of textile craft products weaved from a variety of fabrics decorated with various patterns and colours. Its traditional and contemporary fashion designs are attractive and draws the hearts of its visitors. 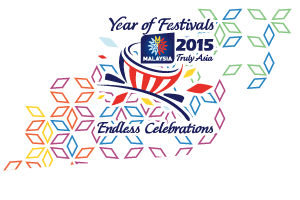 (29 Nov – 7 Dec 2014) Commercial and educational activities are features in its exhibitions, sales, demonstrations and interactive participation of various ethnic groups found in Malaysia, namely Malays, Chinese and Indians. (13-25 Dec 2014) Showcases local craft products of modern and contemporary for decor and gardens, residential space, offices, hotels and resorts as well as focal centres.